There are many chutneys served with Indian cuisine. My favorites are cilantro/mint and raita. I eat them with chapati, an Indian flatbread, to cool down in between bites of spicy curry. The cilantro mint is cool and refreshing, while the raita soothes my burning tastebuds. To make the cilantro/mint, simply put all of the ingredients in a blender until smooth. Adjust seasoning accordingly. The raita can be made with fresh tomatoes or cucumber, but I chose to go the simple route and just add more garlic. Mince garlic and add to the yogurt mixture. Refrigerate until the chapati is ready. 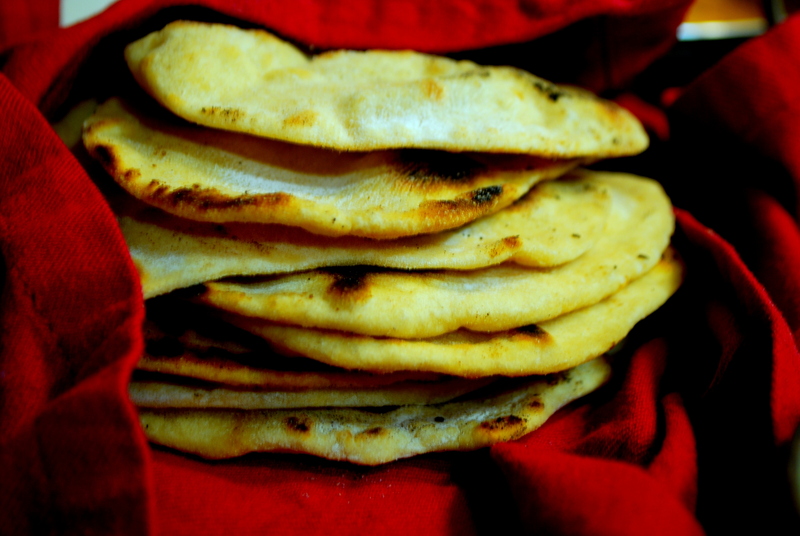 The most popular flatbread in an Indian restaurant is undoubtedly naan. 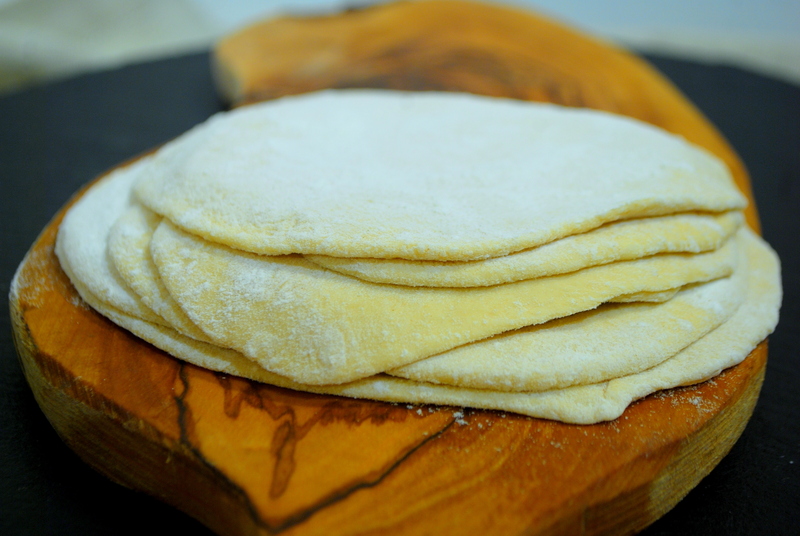 I however, prefer how easy and quick a batch of chapati is to make. Mix together ingredients until the flour is hydrated. Let sit, covered until you are ready to roll it out. Ideally, you will let it rest for an hour, but you can use it right away if you like. Flour a board and cut the dough into ten pieces. Roll out to 1/8″ thick and set aside while you heat a skillet or griddle. Cook until bottom starts to brown, then flip to the other side. When they start to puff up, they are done. Serve with chutneys and curry.